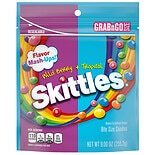 Shop Skittles Candy Mash Ups Pineapple Passion Fruit, Wild Berry + Tropical (9 oz. )9 oz. 2 for 4 dollars and 00 cents or 1 for 2 dollars and 79 cents $2.79 $0.31 / oz. 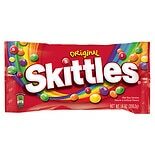 Shop Skittles Original Fruity Candy, Party Size Bag Lemon, Original (41 oz. 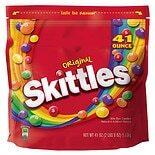 )41 oz. 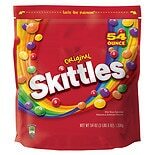 Shop Skittles Original Fruity Candy, Resealable Party Size Bag Original (54 oz. )54 oz. 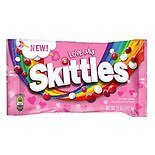 Shop Skittles Love Mix (11 oz. )11 oz. 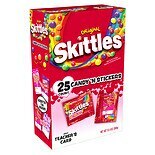 Shop Skittles Bite Size Candies Original (14 oz. )14 oz.